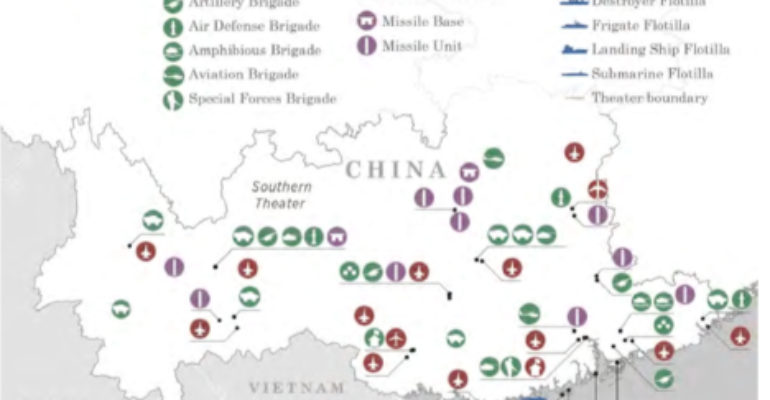 Yesterday, the United States Defense Intelligence Agency (DIA) released the 2019 China Military Power report to the public, highlighting developments in new technologies. These technologies include hypersonic and other indigenous capabilities such as stealth fighters, intercontinental ballistic missiles (ICBMs), and cruise missiles. Released just days after acting Secretary of Defense, Patrick Shanahan, used his first staff meeting to emphasize the Pentagon’s focus on China, this report details new numbers for China’s ICBM, cruise missile, and hypersonic stockpiles. Almost 20 years ago, the then commander of U.S. Strategic Command, General Eugene Habiger, testified in front of Congress that China retained 18 silo-based DF-5’s. Just six years later, the Pentagon released a report that stated China had 42 nuclear tipped ICBMs. Currently, the new DIA report estimates that China has 75-100 nuclear tipped ICBMs. China is also increasing its cruise missile capabilities, so it can reduce the burden on ballistic missile forces. Beyond ballistic and cruise missile capabilities, China has also been developing new technologies to counter missile defense systems around the world, including completing work on hypersonic weapons and directed energy. However, officials are less worried with the technological advancements and instead are more concerned about Chinese confidence. Lastly, the report indicates that China is becoming an imminent threat and that its targets are expanding.